I like to make either a roast chicken or turkey breast on Sunday evenings. There’s something comforting and homey about a roast in the oven, and they also yield great leftovers for lunches the following week. 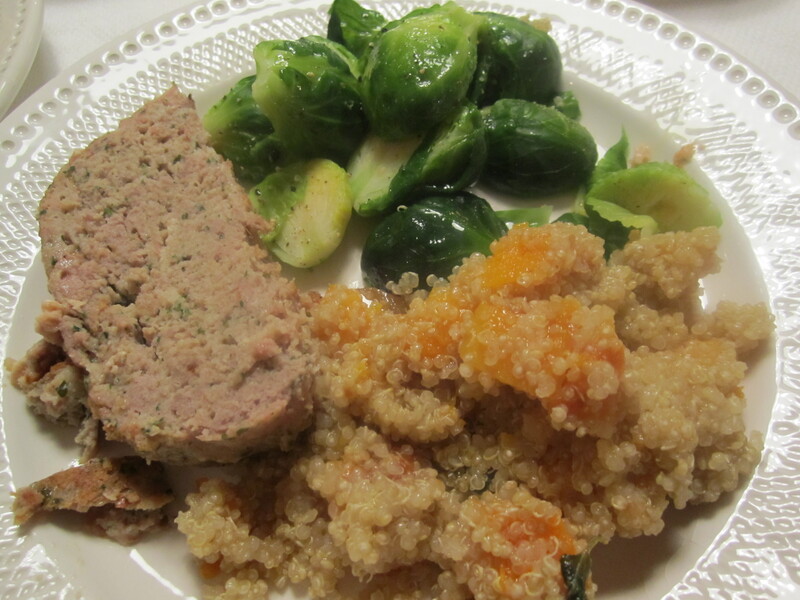 Even homier, although maybe less festive, is a meatloaf. This meatloaf has a very similar foundation as my turkey meatballs (see prior post “polpettine di tacchino”), only it’s even easier (obviously no rolling into balls or sauteing in a skillet). The recipe is based on my neighbor Beppi’s recipe for stuffing, with ground mortadella, shallots, seasoned breadcrumbs and bread soaked in broth. 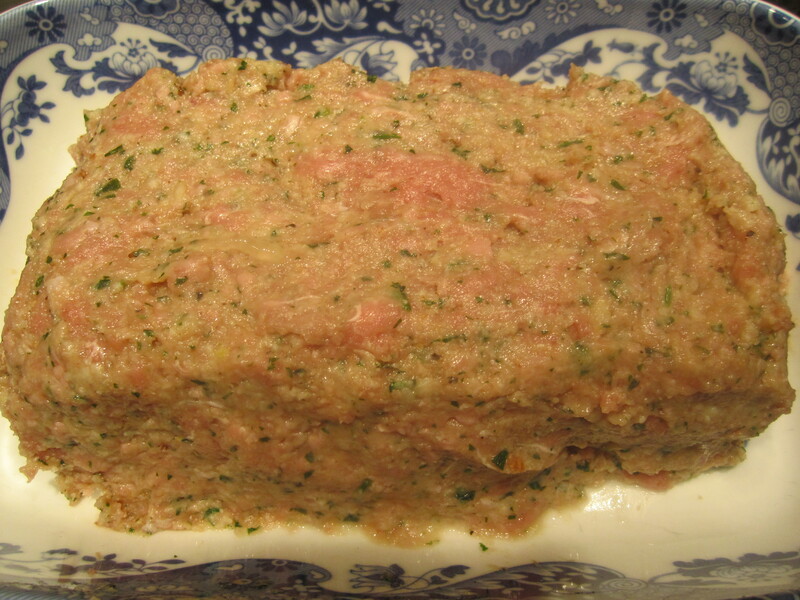 This is an extremely easy meatloaf because there’s minimal chopping (it’s all done in the food processor) and there’s no pre-sauteing of aromatics. The truth is, it’s sinfully easy to make this meatloaf–you can assemble it early in the day and store it in the fridge, in a baking dish covered with foil. Pop it into the oven an hour-and-a-half prior to when you want to serve it. It will give you time to enjoy your entire Sunday without thinking about what’s for dinner (although that’s exactly the kind of thing I enjoy spending my Sunday thinking about). 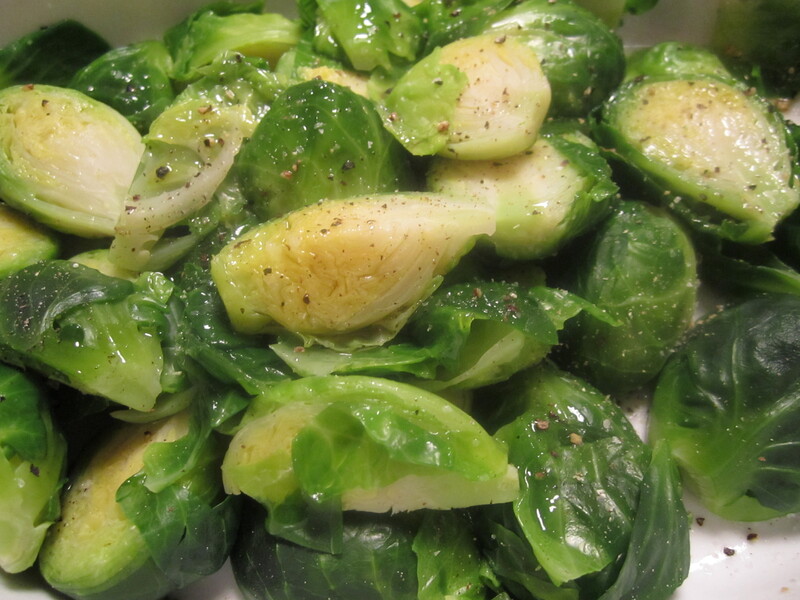 I’m accompanying it with some brussels sprouts, simply boiled in salted water for 5 minutes and dressed with salt and raw olive oil. 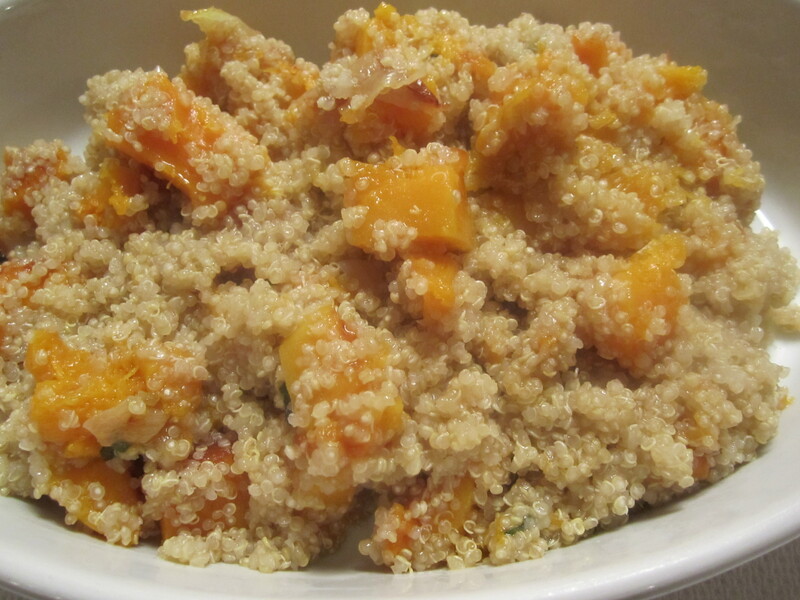 In addition, I’m making some quinoa with butternut squash. This dish is essentially exactly the same as my prior post (“butternut squash with farro”), only substituting quinoa for farro. You’ll see me using quinoa quite a bit in the coming months, not just because it’s so good for you and delicious, but because I enthusiastically bought a 4-lb. bag of it at Costco. Soak bread with broth and let it absorb for about 10 minutes or so. 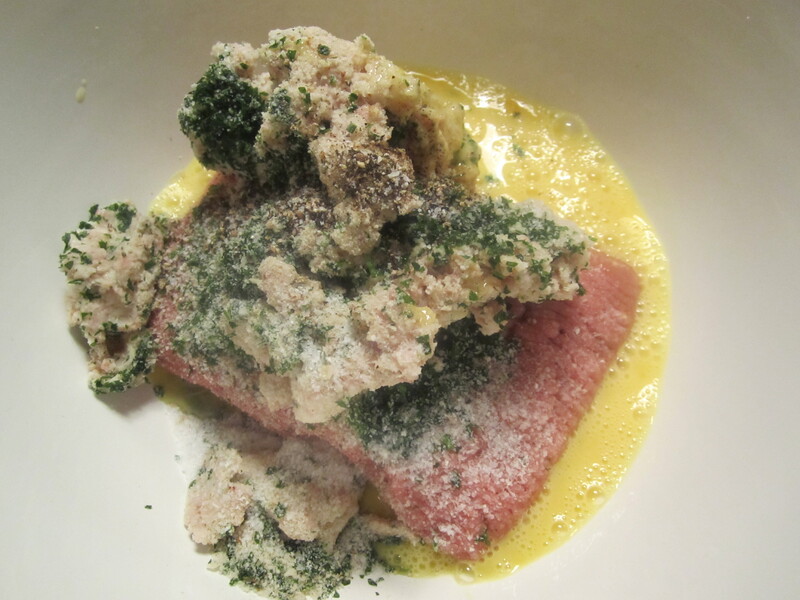 Place mortadella and shallot in food processor and pulse until it becomes a fine dice. Add soaked bread and process until mixture achieves the consistency of a porridge. In a mixing bowl, combine the mortadella and soaked bread with the ground turkey, eggs, nutmeg, seasoned crumbs, salt and pepper. Form into a loaf and let rest for 15 minutes. Bake for 45 minutes, covered with foil. Uncover and roast for another 30 minutes or so, until the internal temperature is at least 165 degrees. Let rest for 15 minutes before slicing.